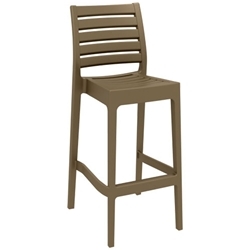 Features: Outdoor and Indoor use stool. Colours: Taupe, White, Anthracite and Brown. Frame: Injection moulded resin. Stackable 4 high.